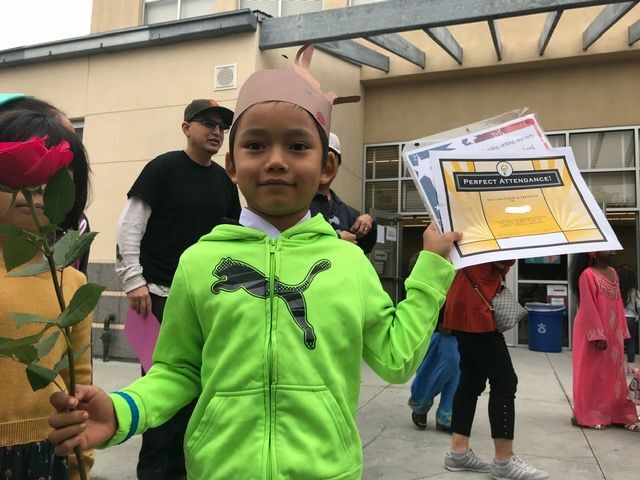 At the end of each trimester, Ibarra Elementary School holds an Award Ceremony. 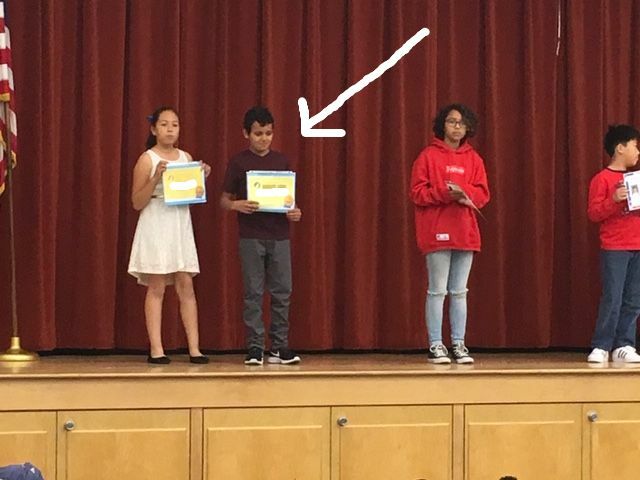 Over the last few years, we have started to see an influx of OUR KIDS getting the awards! What a testament to the hard work you all are doing with our kids. 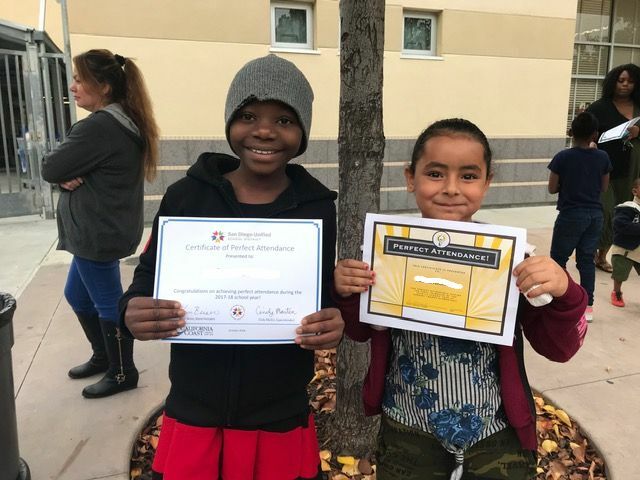 Our kids are having success in school! This is what we hope for all SDRT students. 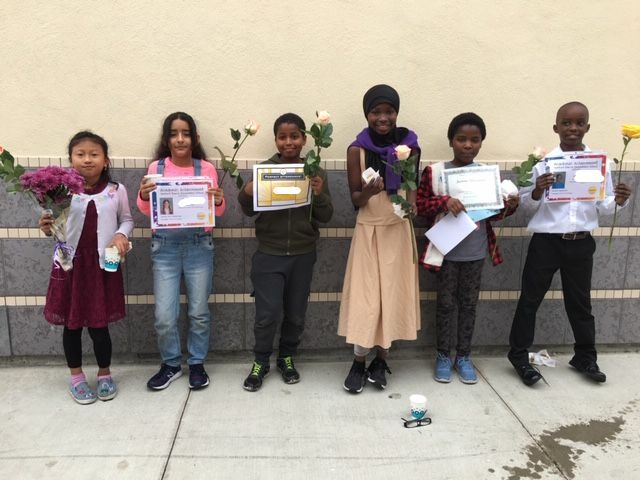 We had a thoughtful tutor bring flowers for each of our kids getting awards a couple of years ago. 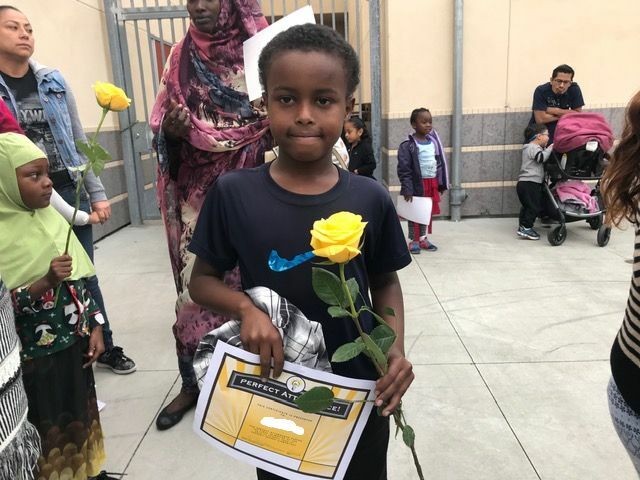 Now, we have made it a tradition- we hand them out to our kids as they receive their awards. 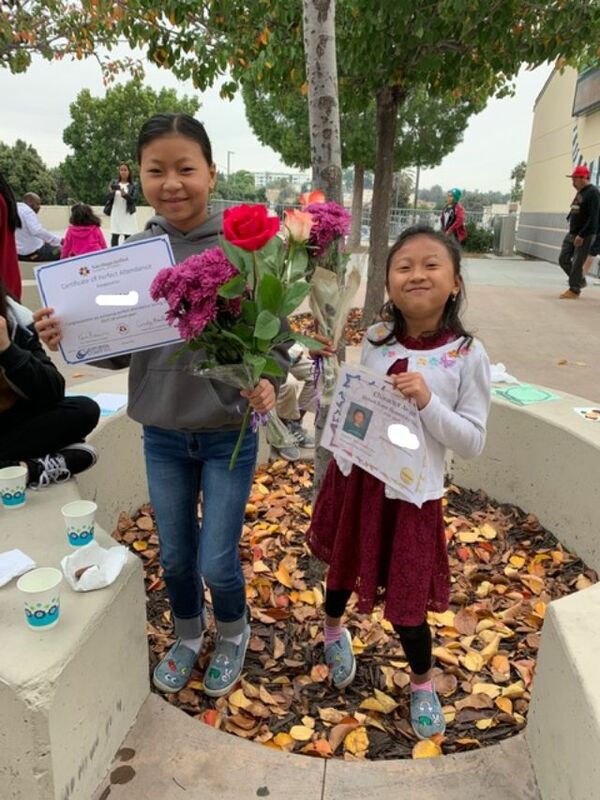 It was a delight to see over 30 of our students get recognized for their hard work, excellent citizenship and perfect attendance. It is not always easy for our parents to get off work to attend these events. We were fortunate to have several awesome tutors come to the celebration to congratulate our students in person. The kids are feeling successful and proud. Their confidence is building. The SDRT community matters for our students. Thank you for helping our kids achieve success. 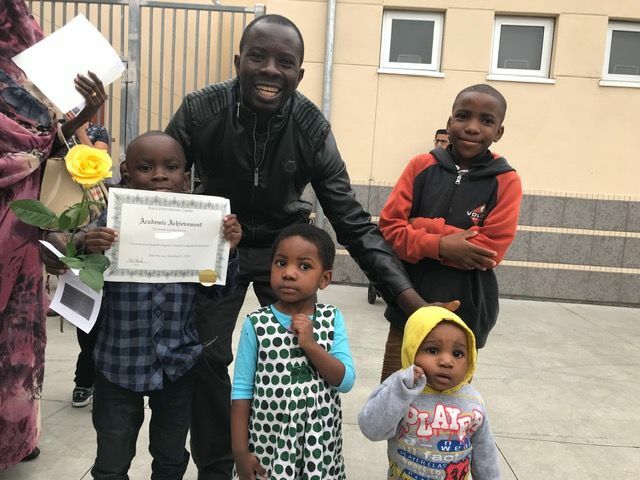 Help us continue to provide free tutoring twice a week for our vulnerable refugee youth in San Diego. We can operate only because of donations from folks like you. We need to buy granola bars and other snacks for our winter trimester. Would you consider contributing one-time or becoming a monthly donor? Go here to give now. 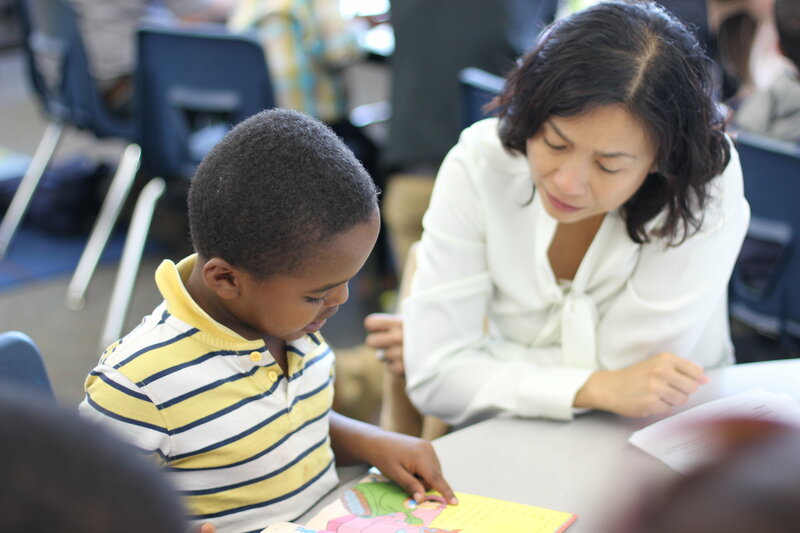 Now that we have 85-90 kids showing up on a regular basis, our need for tutors has grown yet again. Can you invite 1-2 people to our New Tutor Orientations next week? We were short 20 tutors the last two weeks of tutors and it greatly impacts our effectiveness. Please spread the word- post on social media if you can! Our January New Tutor Orientations will be on Tues., Jan. 15th and Thurs., Jan. 17th at 5:30pm in the Ibarra Library. RSVP here. **We will also have two orientations in February (Feb. 12th and Feb. 21st) Those will be the last ones for this trimester. 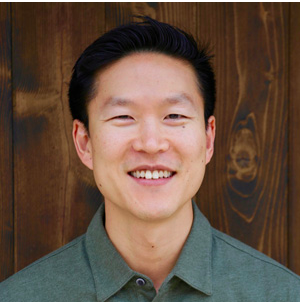 Rob was featured on Orapin Marketing's Inspired Impact blog. We are hoping others can be inspired by the words he shared! Thanks for reaching out to us, Orapin! Karen New Year is Here! 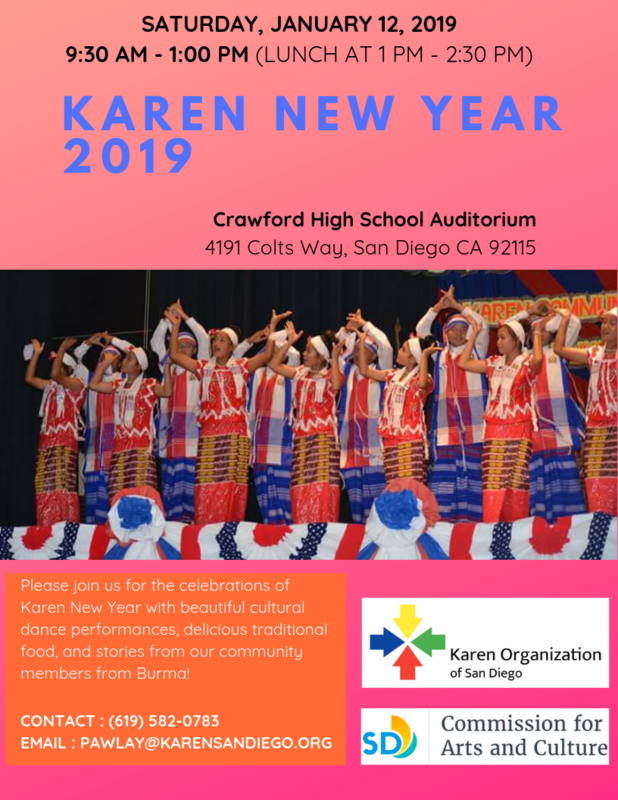 This Saturday, January 12th (9:30am-1pm), Karen New Year will be celebrated at Crawford High School. Tutoring resumes on Tuesday, Jan. 22, 2019! 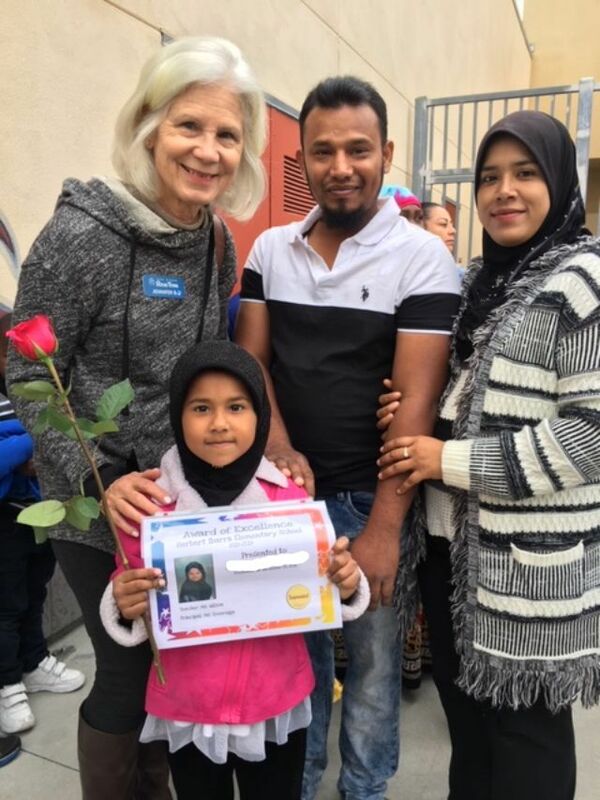 Copyright Â© 2019 San Diego Refugee Tutoring, All rights reserved.